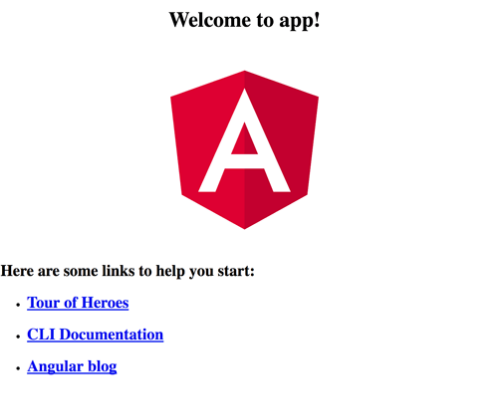 In this blog, you are going to learn how to create an Angular app to implement file upload functionality. 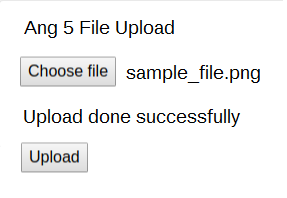 We'll be using Angular 5 and Node for creating this web app and the file upload feature. So, let's start setting up our project. Run the below commands to install or update your Angular CLI and define your Angular 5 application. Next, you need to move to the newly created appl folder and get the application started. Check now whether the app is running or not. Start the browser and type the URL as "http://localhost:4200". You should see the default Angular web app screen. We'll be using the Express.js for this web application. It replaces the web and RESTful API server. Express.js is a Node framework commonly used for web apps. It works as a node module for using with the applications having the server listen for any incoming connection requests. You now need to shut down the Angular web app and execute the below command for enabling the Express.js module along with its dependencies. Next, create a folder named as "bin" under the root folder and a new file as "www." You may use a different name or change the location if you like. Now, copy the below code and put it in the "www" file. * Launch the HTTP server. * Listen on the target port, on all network interfaces. One more change you need to make is to update the starting application to Express.js. So, open the "package.json" and modify the "start" value in the "script" block. See here. Add a "server" folder and create a "routes" folder inside it. After that, create the "api.js". Copy the following lines of code and place in the api.js file. The above command starts the server on port no. 3000 as we specified in a previous step. You can check the application landing page by opening the http://localhost:3000/ URL in the browser. The browser will request to the server, and the following response will get displayed. Let's add the Angular 5 component to perform the file upload. Now, modify the "app.component.html" file with the following code. We will use a light-weight progress bar to indicate the progress. Add the required import statements into the "app.module.ts" file. Also, place the below code in the imports array in the @NgModule. Open and modify the "src/index.html". After that, include the Bootstrap CSS and JS library. Update the CSS style sheet with the following code. Now, change the HTML template file by editing the "src/app/ang5-file-upload/ang5-file-upload.html". PasteDemo the code from the below block. Another file is "src/app/ang5-file-upload/ang5-file-upload.component.ts" where you have to place the code given below. Add a public folder under the root of your app and a "data" folder inside it. Next, modify the code of "server/routes/api.js" file. Finally, re-run the "npm start" command to get your Angular v5 file upload demo running.